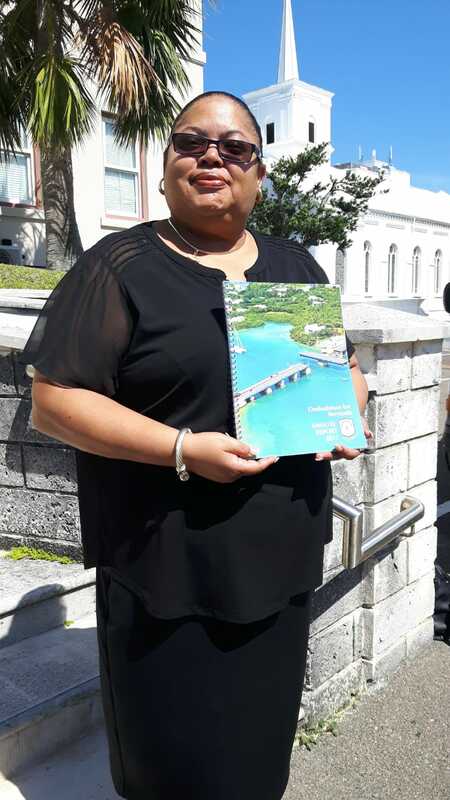 Bermuda, June 22nd – The Ombudsman for Bermuda, Victoria Pearman, is pleased to announce her Annual Report 2017 was tabled this morning in the House of Assembly and is now available to the public. The Report will be available on the Ombudsman for Bermuda website www.ombudsman.bm and Facebook page. Photo of the Ombudsman at the House of Assembly this morning.